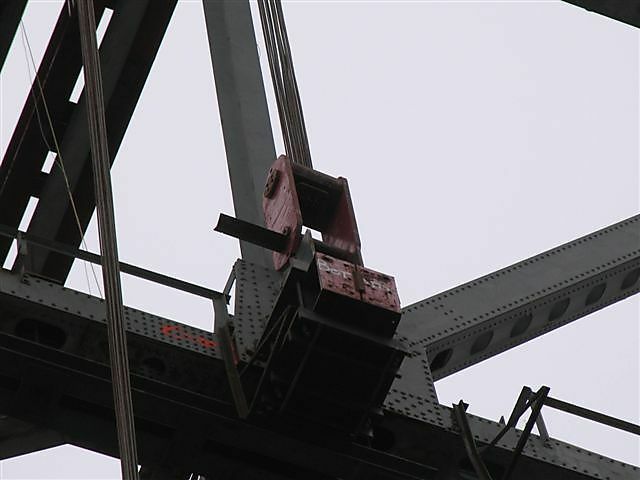 A closer view of the installed (on the north: Grace bridge side) hydraulic jack, umbrella and attached cables. 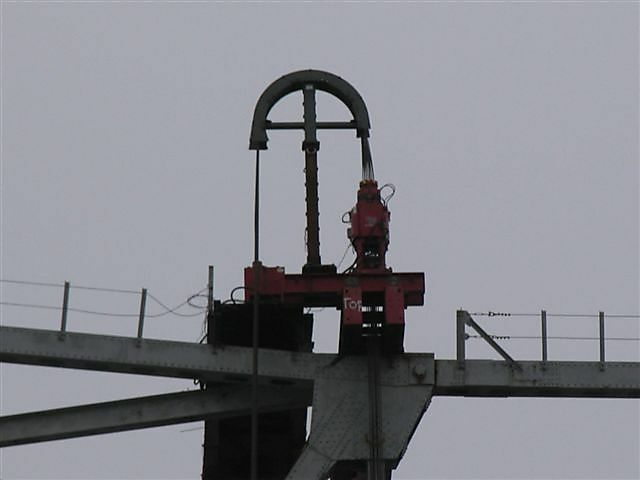 The cable bundle on the left passes down to the lower Mammoet beam where it is attached thus forming a cradle. 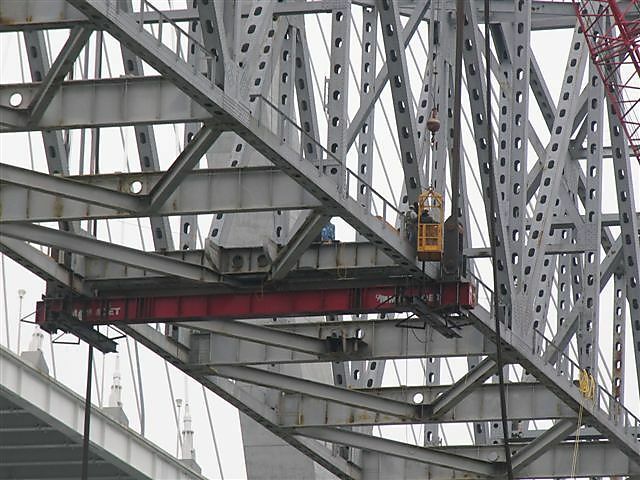 After passing over the umbrella, the cable bundle passes through the hydraulic jack. 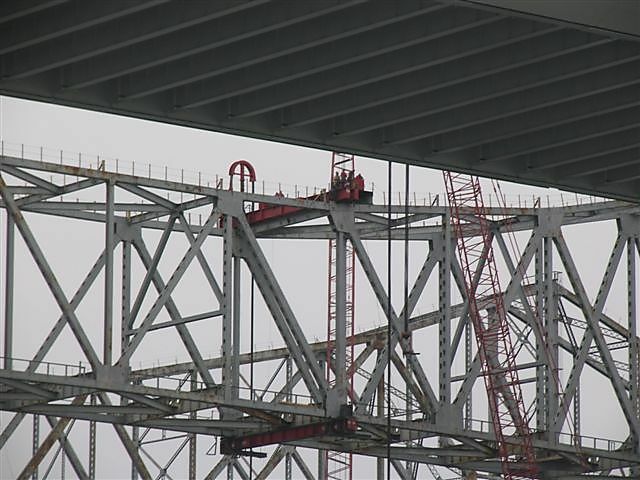 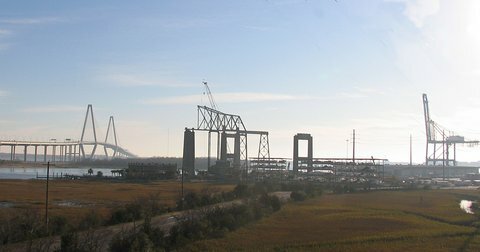 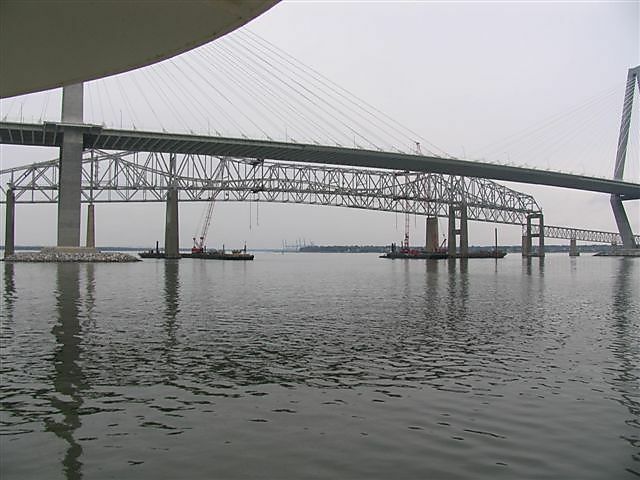 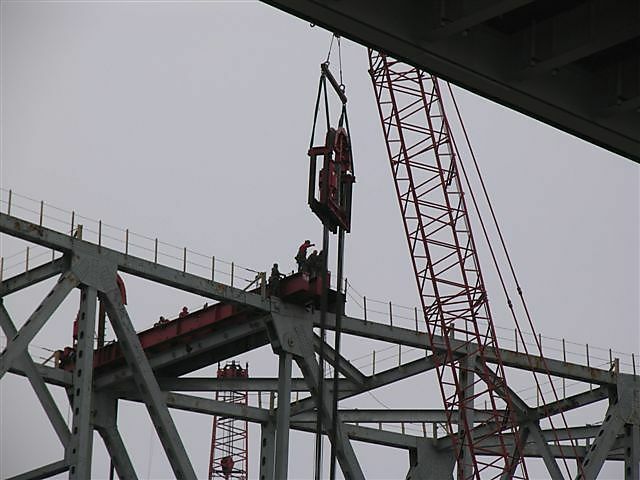 Installing the Ravenel Bridge side assembly - Lowering the partner jack, umbrella and cable assembly down to rest on the top of the red beam (Mammoet beam). 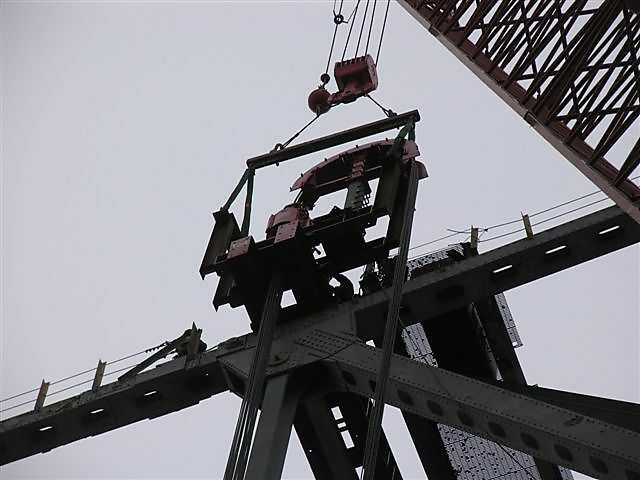 In context - the beam, umbrella and cable assembly. 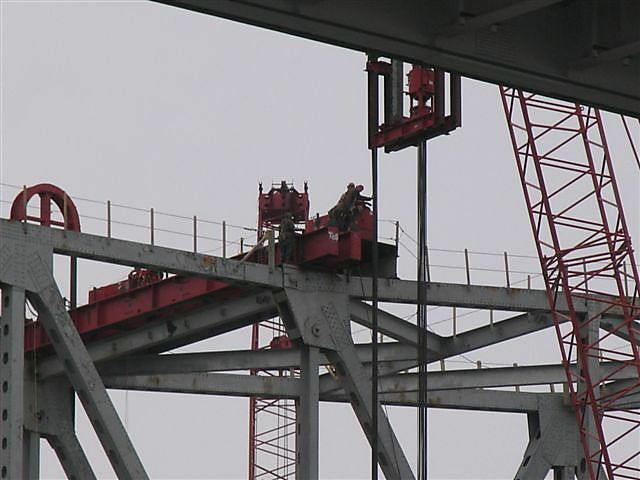 One end of the cable bundle is attached to the lower beam, feeds up and around the top of the umbrella, down and through the hydraulic jack and then hangs below (I think). 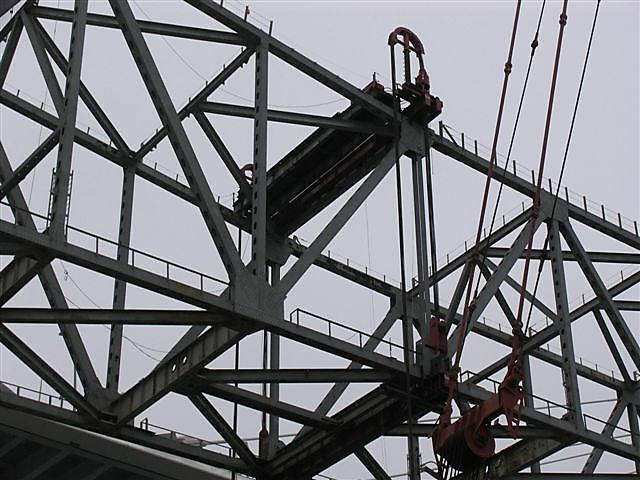 Note on the left of the beam joining the cantilever attachment pins is the cable assembly and its harness for connecting to the lower Mammoet beam. 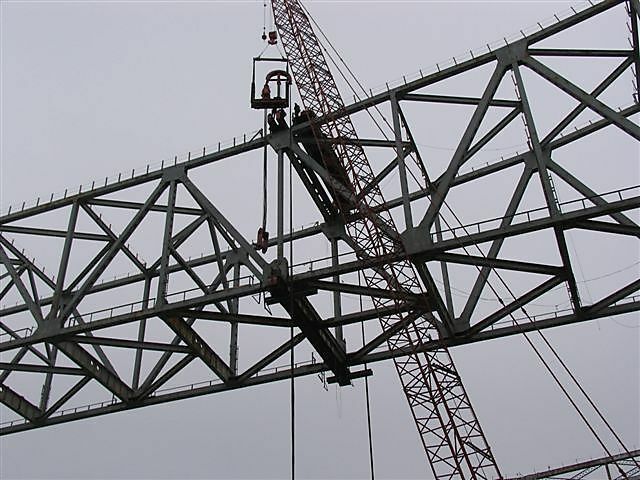 Almost complete installation. 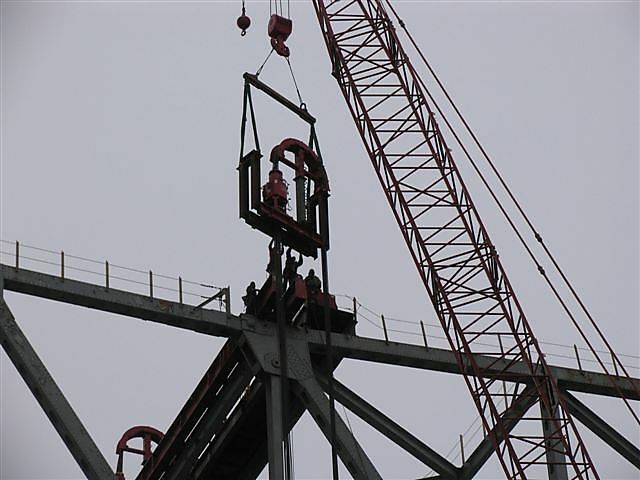 Note the cable assembly bracket being lowered onto the attachment point on the red Mammoet beam. 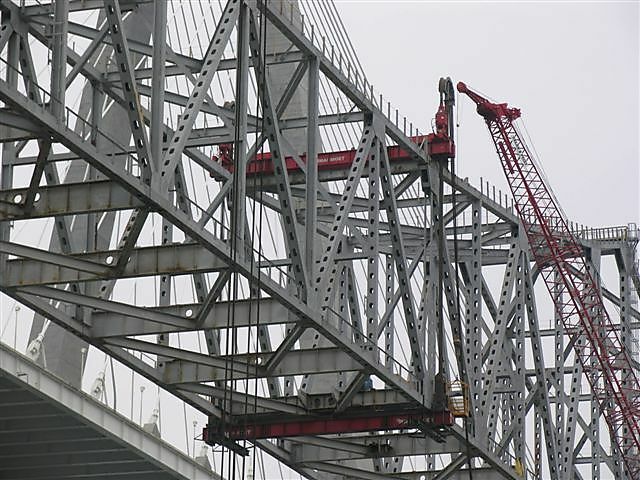 The lower cable attachment - just over the lower pin connecting the main span with the cantilever truss.